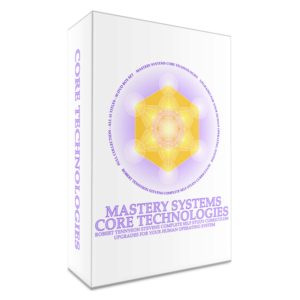 In this course you will be guided to use Conscious Language, conscious choice, Imagination Activation, Outcome Facilitation and Sacred Body Language Translations in discovering and mapping your ever expanding goals, your Heart is ALREADY aligned with. “We are all wired to survive by our creator. Thriving takes our full participation, AND we must choose to THRIVE, TO THRIVE. I call this playing 125%. We can improve a little from last year, or we can step into quantum leaps of realized success, it’s your choice.I have discovered, the bottom line is consciousness. Setting a goal to get by, make due, or survive, does not activate our full life, therefore we have to struggle to settle. Setting our highest choice, setting a goal of thriving on all levels, Is the only way to activate our genius, our enthusiasm, our high self, and connect us with grace. 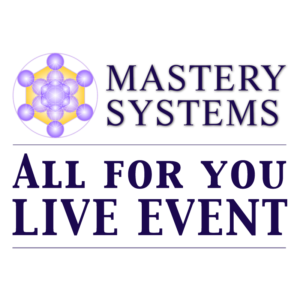 After you register you will get an email from “Mastery Systems” with your username and password for our online members area. All the instructions are in the email and on the members area.